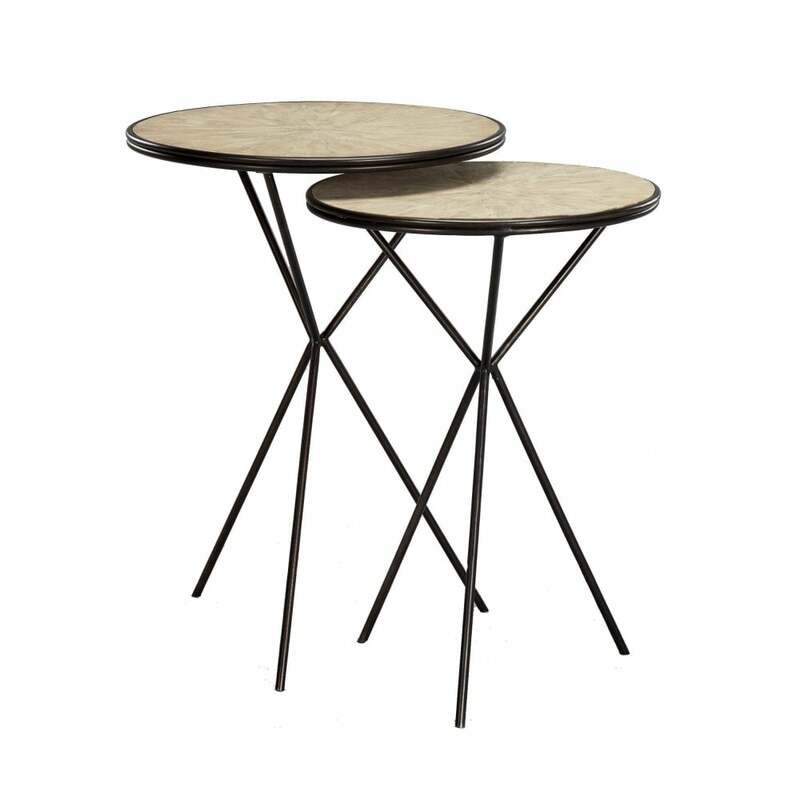 The industrial style of these nest tables by Robert Langford are contrasted by a glamorous, metallic finish. Expertly crafted with a washed oak veneer top and angular tripod base, the Bicknell Nest Tables fit seamlessly together. The stylish circular round table tops interlink to create a functional design that creates an uncluttered space. Ideal for rooms with limited space, these nest tables are available in three contemporary colourways. Make an enquiry for more information.